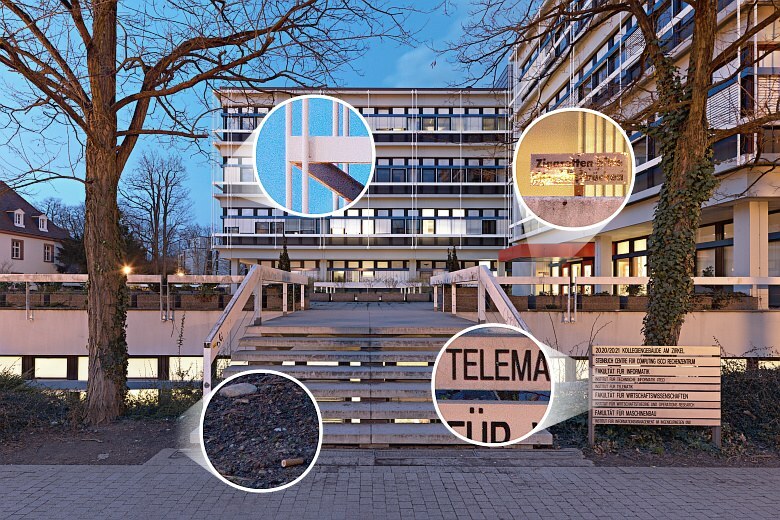 This is the building where the Steinbuch Centre for Computing (SCC, http://www.scc.kit.edu/) resides, one of the most powerful computing centers in Germany. The same building also shelters a couple of institutes, among them the Institute of Telematics, where I have been working since November 2003. This image is another try at "Digital (Fake) Large Format Photography": It is composed of 21 shots, which were stitched together in order to yield an image with about 140 Megapixels, containing incredible details. Make sure to check the larger as well as the details version... and note that even the detail version is only about half the resolution of the original image. And yes, this is the same staircase as visible in one of my other large format shots. For this image I (for a change) decided to apply almost no post-processing, except (of course) the stitching of the individual images.